Drop Earrring. 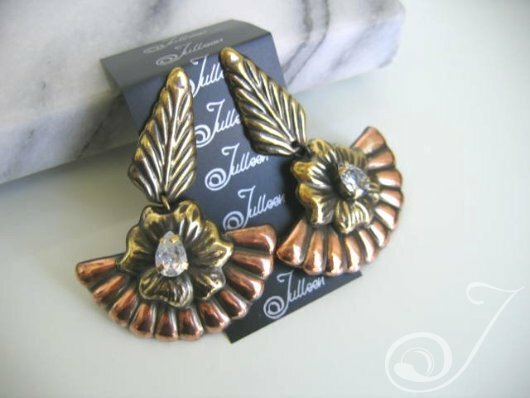 Stunning Hand Crafted Leaf and Flower Designer Earring. Stunning Copper and Bronze with lovely CZ for a bit of BLING! Sensational Statement Earrings! Dare to be unique. – L65mm W50mm.